This week we talk with Tony Wang. Tony has been working his way back from an injury this fall and is ready to get back to racing. Find out more about Tony below. 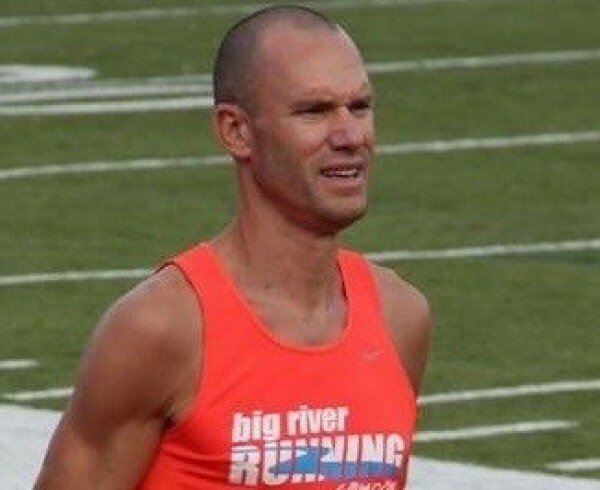 Q: You worked and ran with Big River for several years, how did you first get involved with the Big River organization? Wang: Big River is where it all started for me when I was in high school running cross country (at Eureka High) for the first time. After that, I thought that it would be fun to work there and continue running on their racing team. 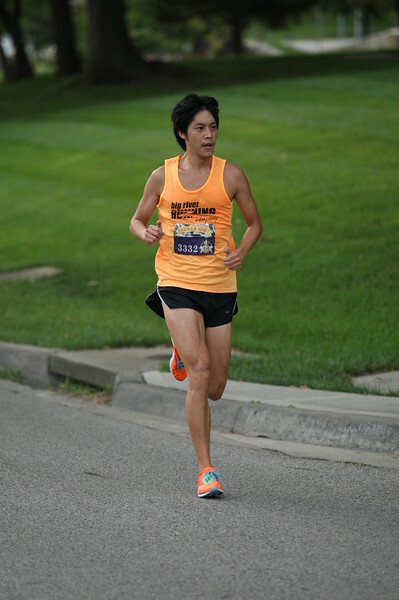 Q: You got hurt this fall and didn’t get to race very much, but you did get to race the Plaza 10k in KC finishing 15th in a very deep field in 33:45 (a new PR!). Tell us about how that race went. Wang: I knew the course was fast, so I wanted to go out conservatively and slowly speed up. After the first 2 miles, I ended up in “no man’s land” where I focused on a guy in front and just thought about catching him. Going into the last turn of the race, we were neck and neck, but then he put the burners on to out kick me to the finish. Overall I thought it was a good race and that I raced well, but that was when I felt that I had some pain in my right ankle, thinking I just ran too hard. The injury ended up putting me out for a few weeks, missing the GO! Halloween half marathon that I planned on running. Q: What has your training been like to come back from that injury? Wang: Started back slow and felt like I didn’t have any “bounce” in my stride and lots of fatigue in my legs. At that point I wasn’t sure if I was over training to get back to where I was or was just out of shape. Q: What are your plans for racing once you’re fully recovered? Wang: I’ve talked with my coach about doing some of the Frostbite races and even another race in KC in February, but still nothing set in stone yet. Q: You’ve been training to work in physical therapy. Do you think that helps you as a runner? Wang: Absolutely! I think having a knowledge of exercises and stretches for the muscles that are used for running helps prevent injuries and to get stronger to prevent form break down. Not doing those exercises is a different story. Q: Are there any interested exercises or stretches that you think are underutilized by runners? Wang: I was recently helping a friend of mine with pain/numbness on the back of the calf, I had a strong feeling on what was going on so I taught him a few stretches (Piriformis stretch) and hopefully that will help. I have also heard from many therapists that runners, including myself, have tight/weak hip muscles, so that would be another group I would work on getting stronger. Q: What do you do for recovery after workouts? Are there any particular meals you eat after workouts? Wang: I don’t do anything special for recovery, just making sure to have a good cool down and getting the nutrition back into the system. Anything that would be easy to make is my typical go-to after my runs. Q: What is your favorite race distance and why? 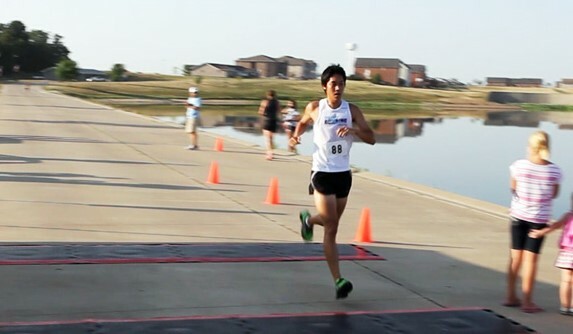 Wang: I enjoy 5k and 10k. 5k is a typical distance for high school cross country and that was where I started my distance running. 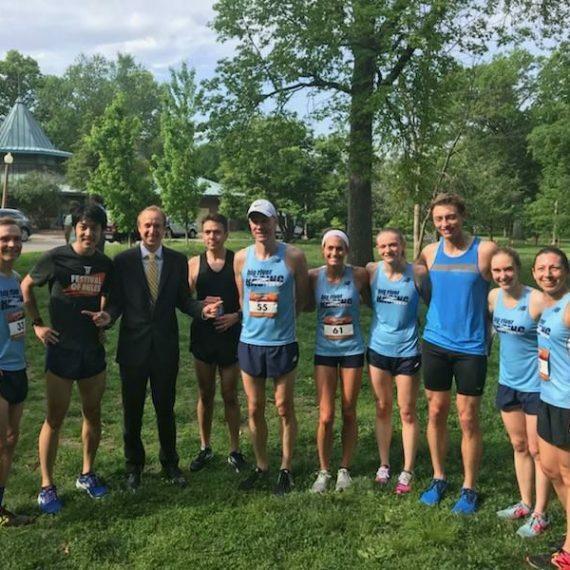 5k is not something too short nor too long and does not require a ton of training to race well in, but that also depends on my goals for the race. Recently I have been doing more races a little longer than a 5k, like a 4M, 6M or 10k and have noticed that I enjoy those distances a little better because I don’t have as much speed as some of my other running friends and rely more on running stronger than faster. 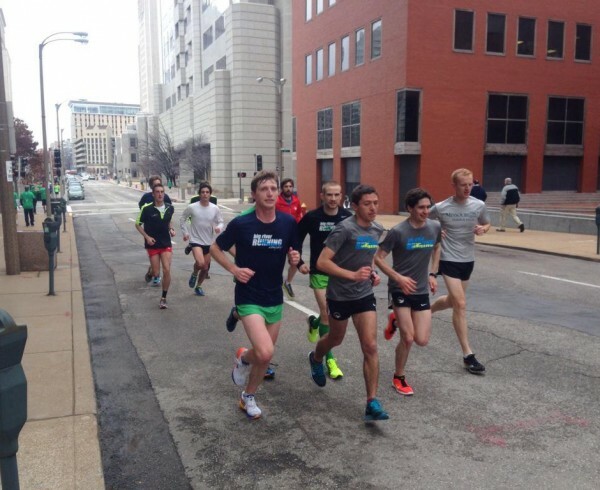 Q: What is your favorite place to run in St. Louis and why? 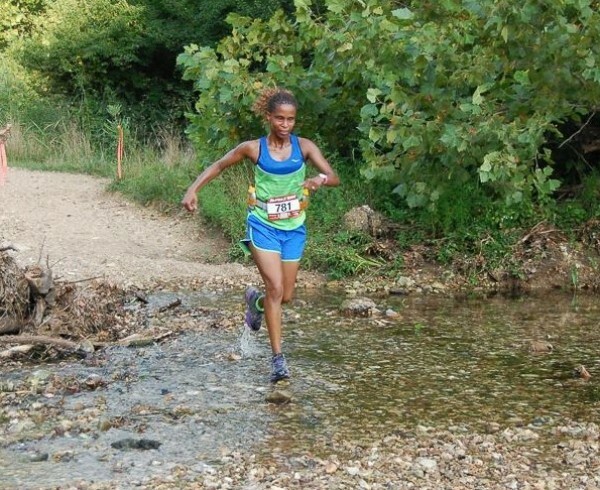 Wang: Castlewood State Park is one of my favorites because there are different trails around there with a lot of variety in terms of hills or flat dirt trails. It’s also connected to Al Foster Trails where I did most of my summer miles for high school cross country. 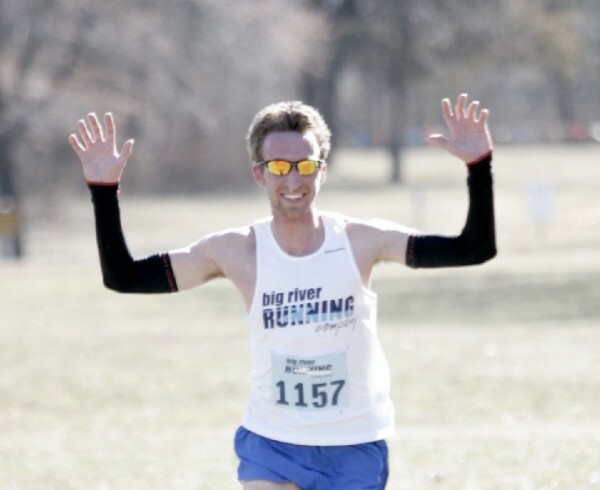 Q: Why do you like running with the Big River Racing team? 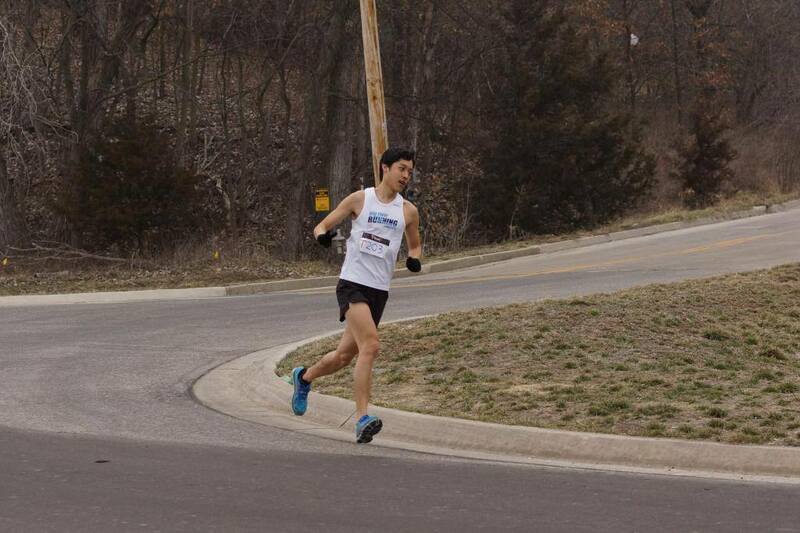 Wang: It’s a good group of people who all enjoy doing the same thing, running. I remember being in college and doing a race in St. Louis where people I didn’t know cheered me on just because I was wearing a Big River singlet and thought that it was awesome that a complete stranger would cheer for me. I think wearing the racing singlet lets me be part of an organization that encourages people and supports the goals that I have set for myself.